If you find a car with less than 1/4 tank of fuel, take a photo of the fuel gauge and email it to members@carnextdoor.com.au to let us know. We'll contact the member who used the car before you, and depending on the circumstances we may fine them and compensate you for the inconvenience. Gosh! We're sorry. We rely on our members to play by the rules and help each other out by making sure at least a quarter of a tank of fuel is always in the car. 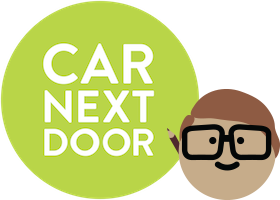 If you jump in and find yourself having to rush to the nearest petrol station to keep the car moving, take a photo of the fuel gauge and email members@carnextdoor.com.au so that we can get in contact with the member that used the car before you. We'll remind new users about how to be a considerate member of the platform, and if they keep forgetting to re-fuel we may fine them $30 and pass $15 on to you, as set out in the Fee Schedule.